Anytime I told someone we were going to Clearwater Beach for vacation they all mentioned the dolphins. 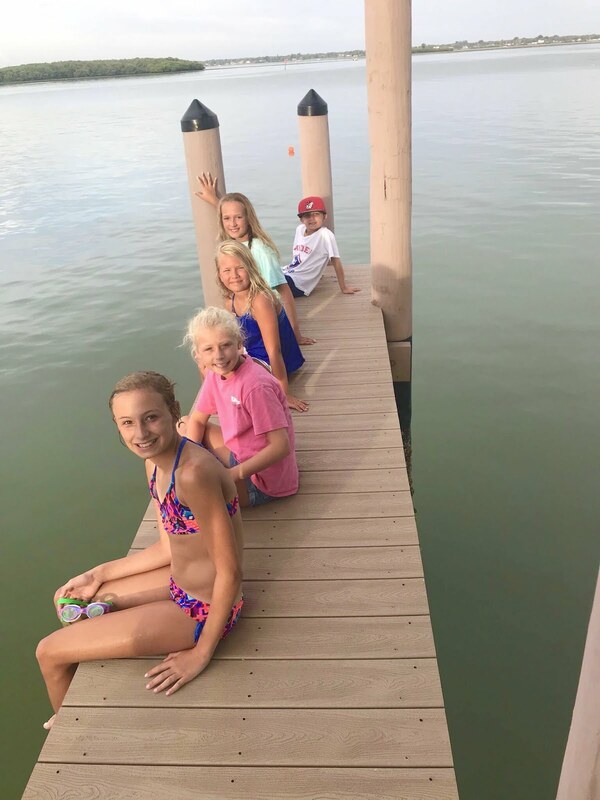 Apparently, it is a big area for dolphin sightings and that held true for us! We were able to look right off our dock both morning and evening to see dolphins swimming and playing out in front of the house. It was so cool! My girls both love sea animals and dolphins are one of their favorites. 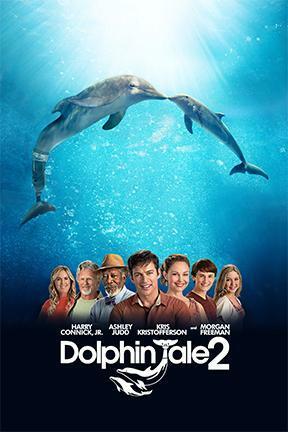 Anyone remember the Dolphin Tale and Dolphin Tale 2 movies? 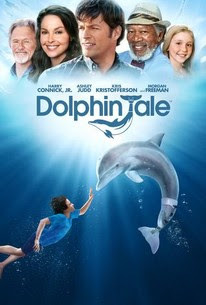 It's based on a true story about a dolphin who looses it's tail after being caught in a crab trap. Some amazing people at the Clearwater Marine Aquarium help rescue her and she ends up getting a prosthetic tail. 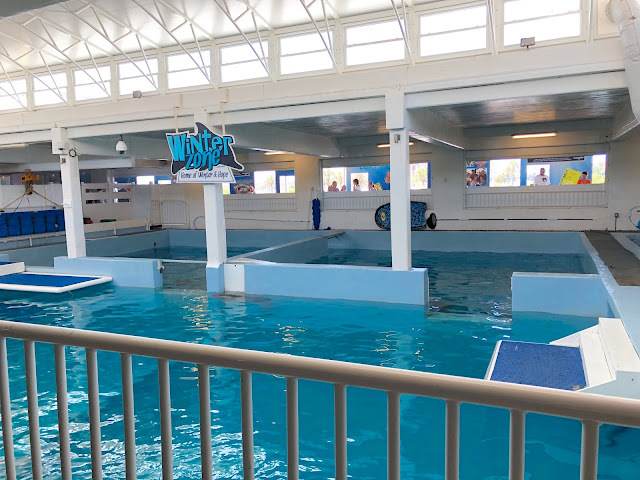 Well, the Clearwater Marine Aquarium is actually a real place and the dolphins from the movie live there! 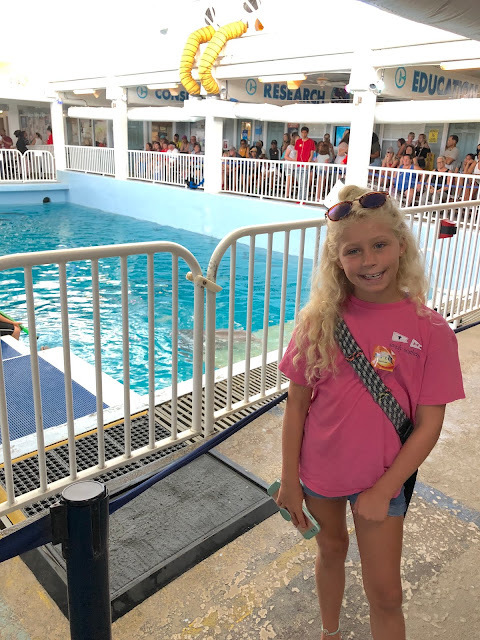 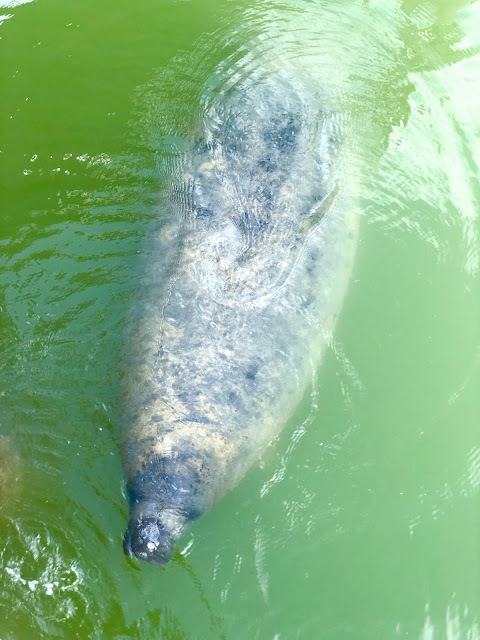 We were so excited to take the girls there and let them learn even more about the mission of this Marine Aquarium which is to rescue, rehabilitate, and release back into the wild when possible. 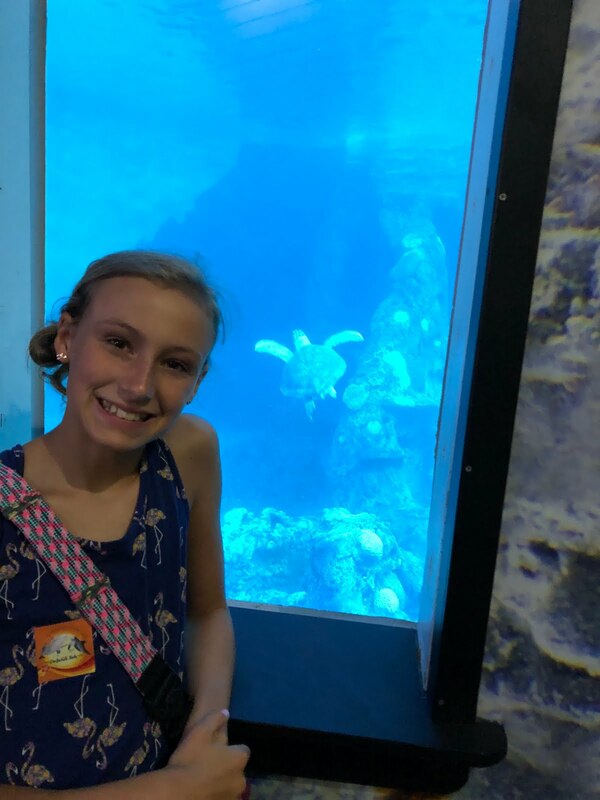 It's called an aquarium, but really it is more of an marine animal hospital where they help hurt and injured animals. 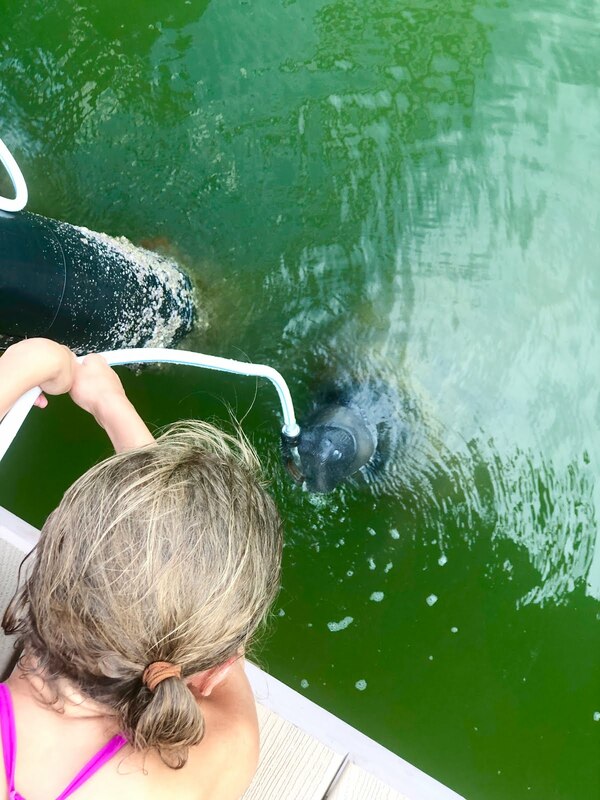 Little Mama wants to become a marine biologist or vet so this was such a neat experience for her and all of the girls. 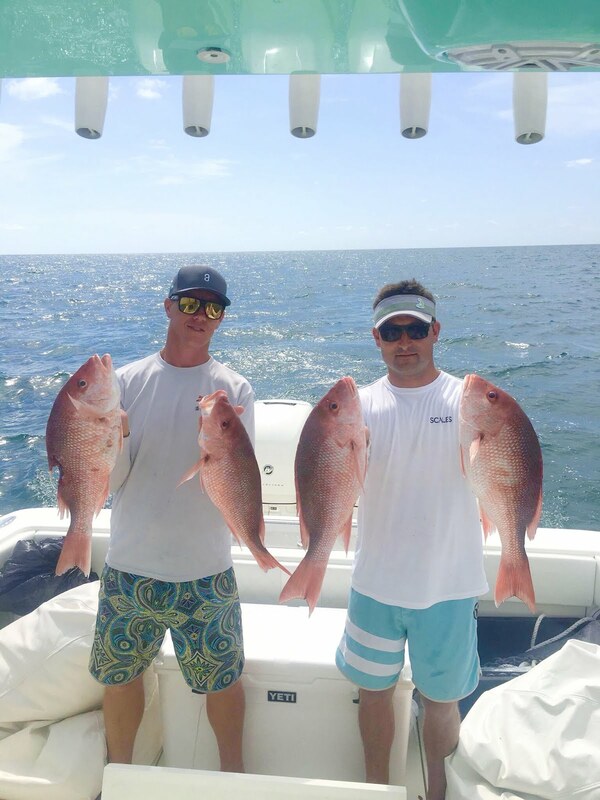 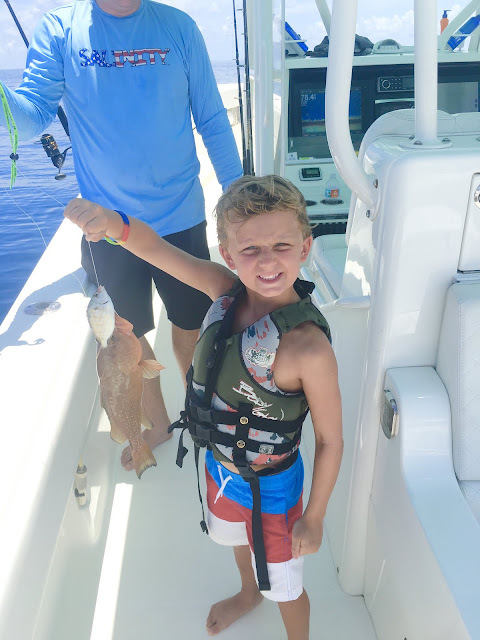 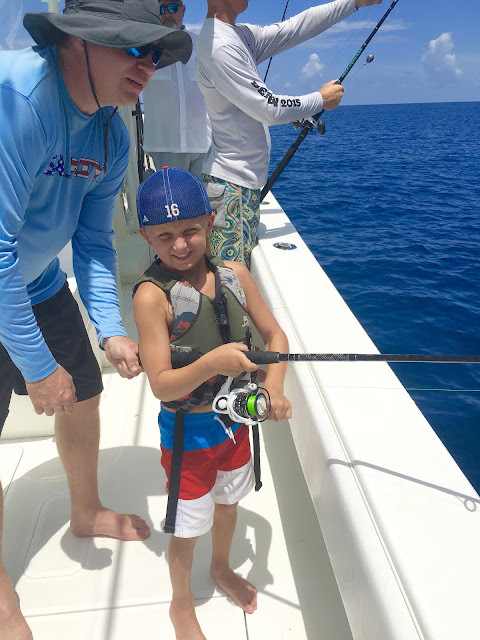 They caught a lot of red snapper and a few other fish, too! Another animal you don't see everyday is a manatee!!! We had just come back in from the boat when someone noticed it right at our dock. 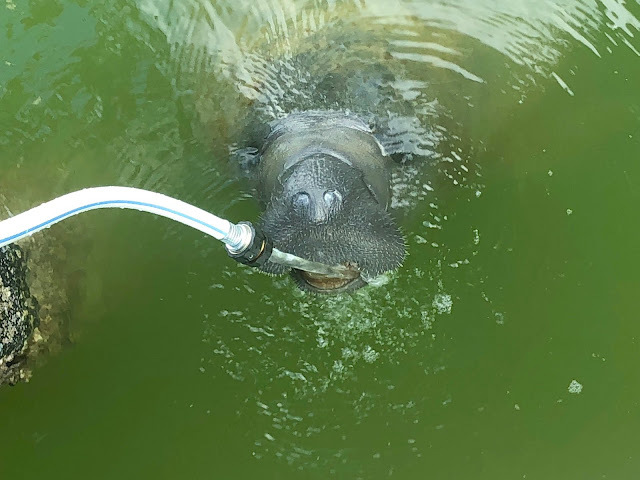 They grabbed the freshwater hose and put it down in the water to see if he wanted a drink. 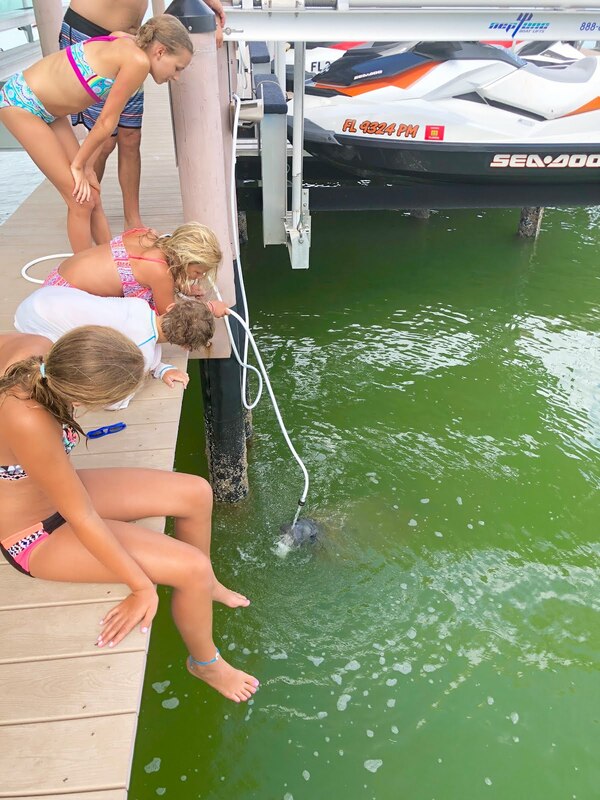 The kids all got to take turns holding the hose and feeding him. It was such a cool experience and so neat for them to see it close up.